Want to take a break between classes? 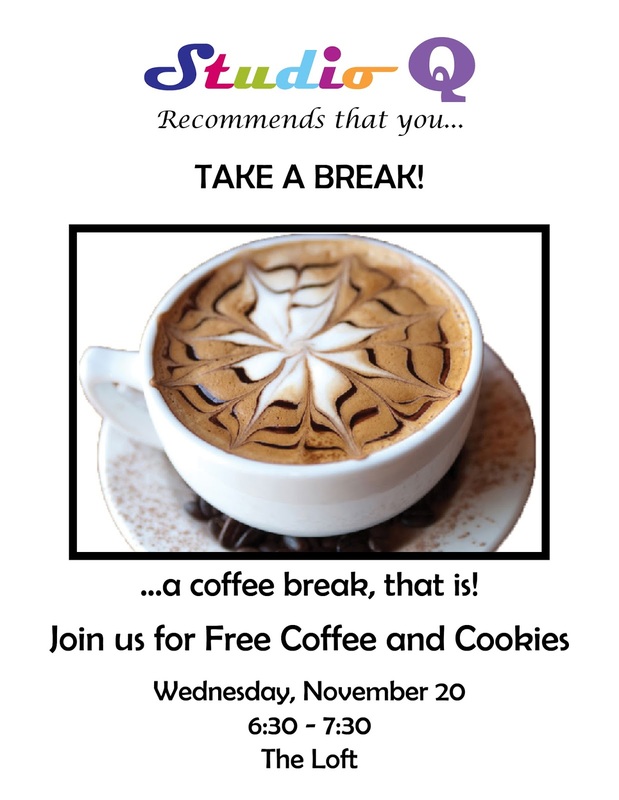 Come to Studio Q's Coffee Break on Wednesday, November 20, 2013! They will be passing out free snacks and coffee to all current BAC students to help you take on the final weeks of classes. Studio Q is your resource to the BAC's lesbian, gay, bisexual, transgender, questioning, and ally community.